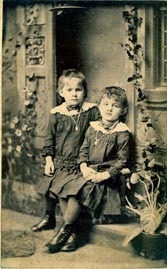 Source: Photos from the album of Mary Iva "Iva" Dunnuck given to her for Christmas in 1883 by her grandparents which would be Benjamin T and Minerva (Ashbrook) or the parents of one of Henton's wives. These photos were shared with us by Rebecca Weiss. BENJAMIN T. DUNNICK ( father of Henton) was born and reared in Walnut township - farmer. He died Sept. 12, 1859. 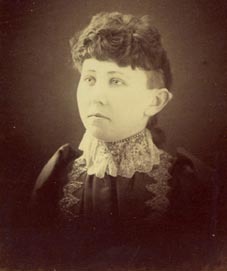 Minerva was the daughter of William and Permelia ASHBROOK, natives of VA. Permelia was living and 87 when the biography was written in 1906. 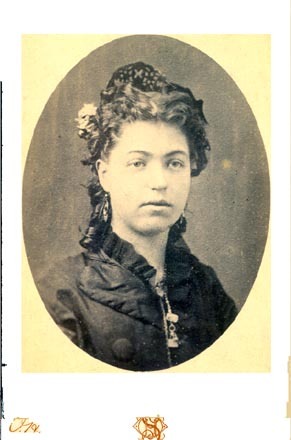 1-2) Oela C. (Mrs. William C. NOTHSTINE) of Walnut township. One daughter Sarah Elizabeth. 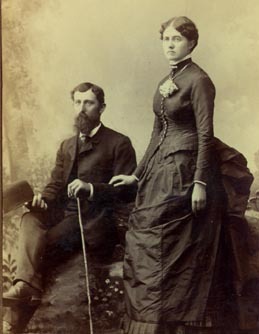 1-3) John T. who married Alice PLUMMER of Columbus OH. John John was the business manager of the Columbus Dispatch. 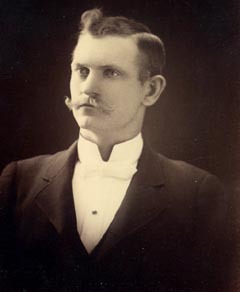 Henton Monroe DUNNICK, a fine type of gentleman farmer of old and cultured Ohio, owner of 215 acres of beautiful land in Walnut township, and former sheriff of Pickaway County, was born upon the farm which still comprises of his homestead, on January 24, 1854. 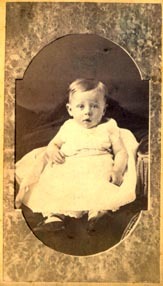 The is a son of Benjamin T. and Minerva (Ashbrook) Dunnick, His father was born, reared and educated in Walnut township and here became a prominent farmer. He died September 12, 1859. Our subject's mother was a daughter of William and Permelia Ashbrook, both natives of Virginia and is still living at East Ringgold, aged 87 years. 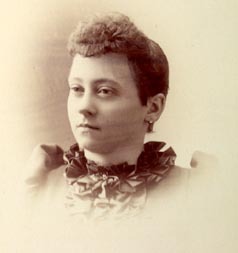 In Walnut township our subject developed into an intelligent and useful manhood, and in 1875 married his first wife Sarah Ann Brobst, who died in 1882. By her he had three children, viz. : Iva, who married Boyd Swope, of Amanda township, Fairfield County, Ohio and became the mother of two children, Kathleen and F. Dunnick (SWOPE). Oela C., who married William C. Northstine, lives in Walnut township and is the mother of a daughter --Sarah Elizabeth ; and John T., who married Alice Plummer, of Columbus, and is assistant business manager of the Columbus Dispatch. 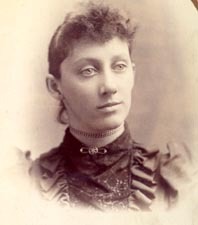 In 1889 Mr. Dunnick married Mary E. Hammel. Two children were born to this union -- David H. and Minerva. Mr. Dunnick purchased his present home in August 1896, and the family occupied it in 1897. It was during the latter year that he concluded his four years' service as sheriff of Pickaway County, having been elected on the Democratic ticket. He has a wide connection with the fraternities, being a member of the F.& A.M., B.P.O.E. and I.O.O.F. Religiously he is identified with the Primitive Baptist Church. Mr. Dunnick takes great pride in his home, which is commodious and modern, and is prouder still of his family. 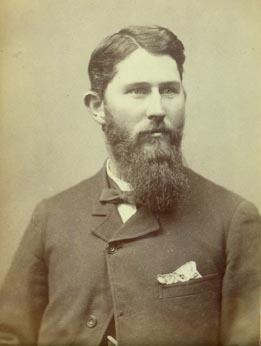 He is especially gratified at the success of his youngest child by his first marriage, John T. Dunnick. When the latter was in the Circleville High School, during the father's term as sheriff, he took a local agency for the Columbus Dispatch. He acquitted himself so creditably that when he finished his course he was offered a position in the Columbus office as assistant bookkeeper, and his good work in that capacity earned him the promotion to his present post -- assistant business manager.